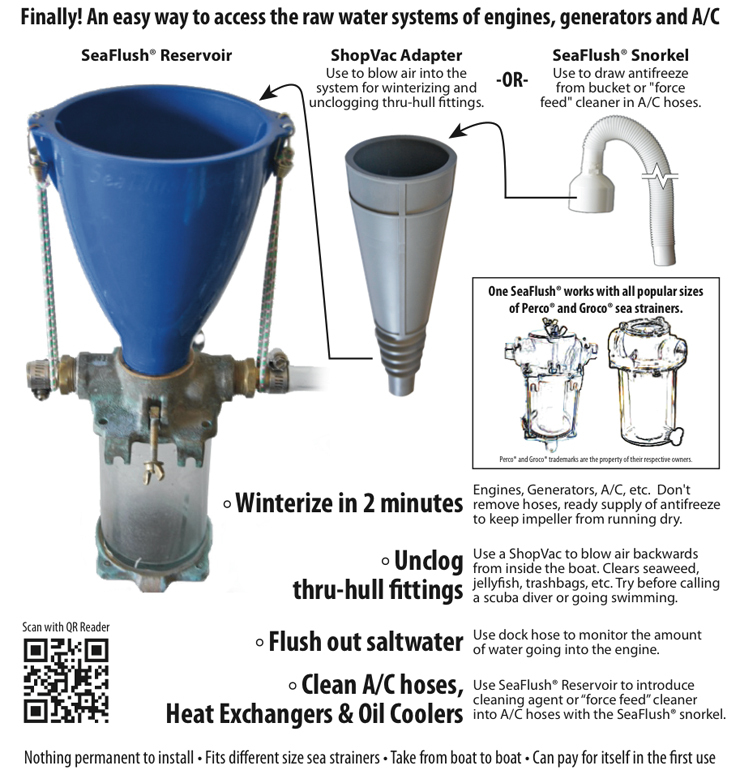 Sea Flush ® is a Patented boating tool that makes winterizing, unclogging thru-hull fittings, flushing out saltwater and cleaning heat exchangers/exhaust manifolds/A/C hoses and Oil Coolers easy. Sea Flush works with canister-style sea strainers and you don't have to remove any hoses. "The concept of Sea Flush is simple, and the execution is impressive." "Sea Flush is a simple and ingenious aid when it comes time to winterize generators and engines." See how Sea Flush can save you time and money by watching the video below!